Mr.Sampanthan said: "Thousands of internally displaced people are still in refugee camps, welfare centres and with relatives, unable to resettle in their own lands and homes. Most of the people in the northeast are living in abject poverty unable to earn for their livelihood as they have lost everything to restart their cultivation, fishing and other small industries. The two-year old ceasefire has not brought normalcy in their lives. "Considerable financial aid had been pledged at the Tokyo aid donor conference last year to rehabilitate and reconstruct the northeast. Donor countries have been placed in a dilemma to provide aid as pledged due to country's current political instability.
" The current political impasse in the south has stalled the peace process and rehabilitation and reconstruction of the northeast province. This situation cannot be allowed to continue. "We have been forced to make an appeal to the international community to formulate a separate structure and hand over it to Tamil speaking people to restore normalcy in their lives and to reconstruct the war ravaged northeast province. "Tamil speaking people cannot wait for too long till the Sinhala political leaders in the south settled their differences," he said addressing the second anniversary celebrations of the Manaiyaveli Welfare Society in Trincomalee town. "If the international community fails to provide an alternative plan to Tamil speaking people to rehabilitate themselves and reconstruct their own province if the current political impasse in the south continued, Tamil community will lose confidence on the current peace process. 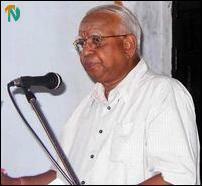 It will then be difficult bring the Tamil people back on the peace track," Mr.Sampanthan said. "Three days after LTTE handed its interim administration proposal to the United National Front government, Sri Lanka's President took over three key ministries. Since then the peace process has come to standstill and the Norwegian government has suspended its facilitator role. "TNA appeals to the international community and to the governments of United States, India, European Union and Japan to exert pressure on the major political parties in the south to think in terms of finding a political solution to the ethnic conflict instead of continuing the power struggle," said Mr.Sampanthan. 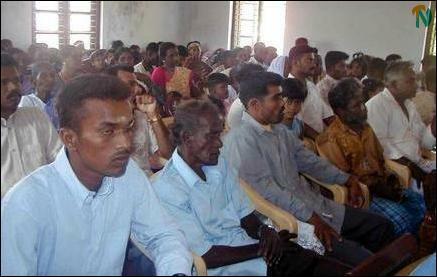 President of the Manaiyaveli Welfare Society Mr.V.Naganathan presided.